If you were to see me on the street, the first thing you’d probably think is “Boy, is he devilishly handsome.” Another thing you might think is, “Wow, why is that man not wearing pants?” What does this have to do with comics? Nothing. Except that maybe, just maybe, the next time you point at a pantsless handsome man carrying comics, you might think twice before throwing objects at him. The real, and more sinister, purpose for me gathering you all here today, is to tell you about the great comic book finds of my illustrious career. These are the ones that stand out, the memorable ones, the ones that matter. They matter to me, they should matter to you, and they should matter to that damn parole board that won’t give me the benefit of the doubt! As a younger lad, I grew up in the grand city(?) of Carbondale, Illinois. Home of Southern Illinois University, and their mighty mascot the Saluki, which is apparently a gangly looking dog. I frequented a comic book retailing establishment just off campus called Campus Comics. (Check out their Facebook page for pictures, of things.) Many an evening after school and certainly every single weekend I would ride my bicycle over to Campus Comics and buy or trade my way into some new comics. They had an expansive selection of new (at the time) and old titles, a better shop I could not have grown up with. 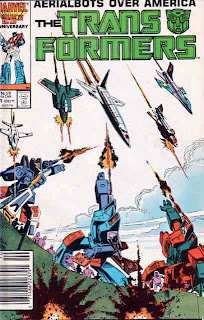 TRANSFORMERS #21. 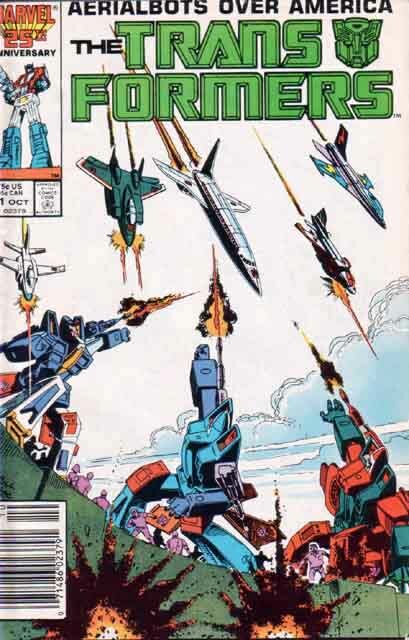 The first significant purchase I can remember as a kid was the day I completed my collection of TRANSFORMERS comics (up to that point). I had managed to get every issue of the series at that point, all except issue #21. I went in for a quick stop while I was in the area and was excited to find the issue had finally been found. Finally, my collection was complete, and my life was fulfilled. Plus, Aerialbots. Sweet. 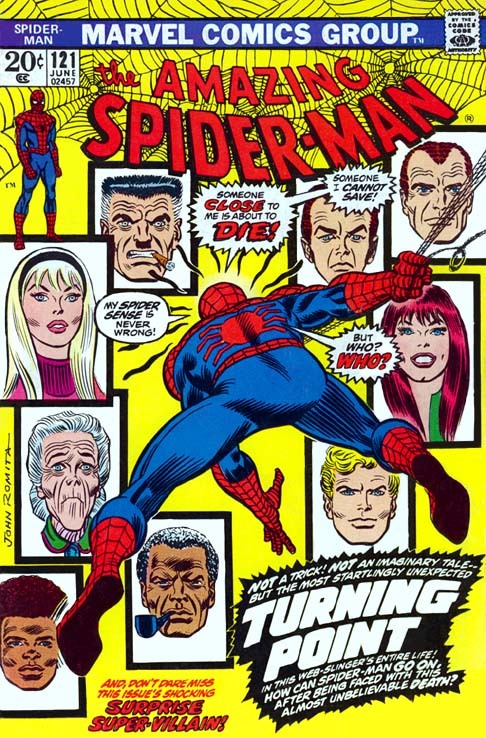 AMAZING SPIDER-MAN (v1) #36. 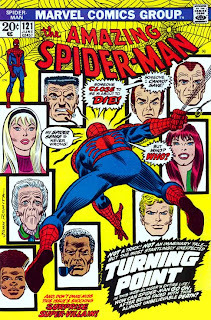 This was a big deal to me, despite it being one of the least important and memorable issues of the Lee/Ditko era (which still makes it better than 95% of the comics in history). I was so excited to have a comic book this old. I can’t remember what I paid for it, but it was probably quite a bit for a jobless adolescent miscreant. Plus it was the first appearance of the Looter. The Looter! 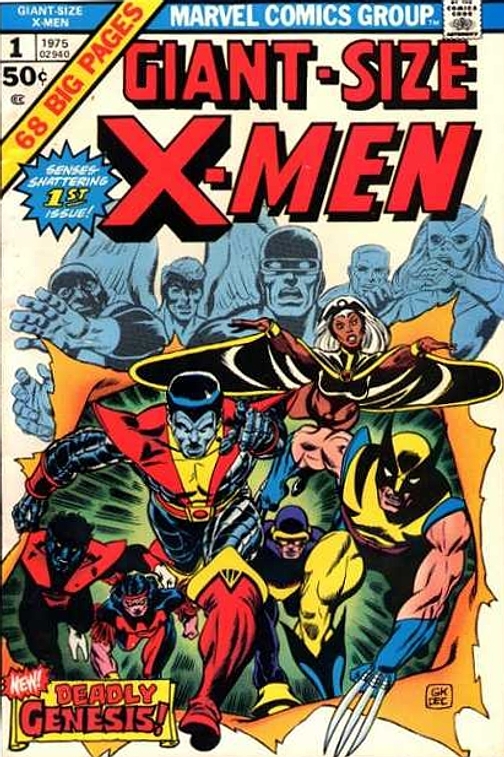 This was a watershed moment in the history of Marvel comics. I mostly remember Gwen seeing Peter run away from an incident to change into Spider-Man, and her thinking he was a coward. 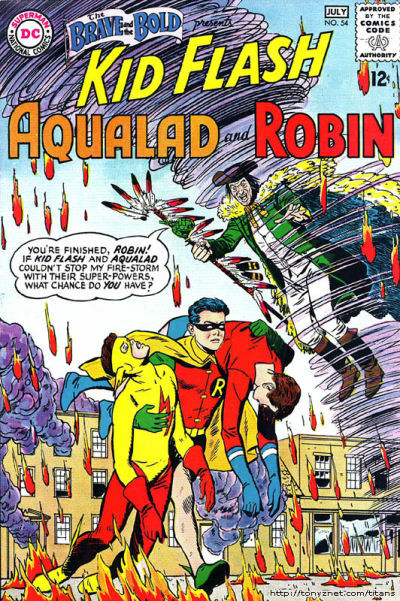 BRAVE AND THE BOLD#54, the first appearance of the Teen Titans. I got this one for my birthday. I think it was a whopping $50 at the time. 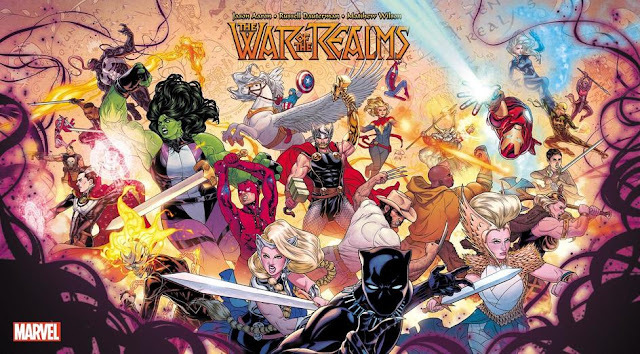 I don’t know why I asked for this comic, and wanted it so bad, having grown up primarily a Marvel kid and having never really read much Teen Titans at all at that point. Just chalk it up to youthful avarice and lack of discipline. 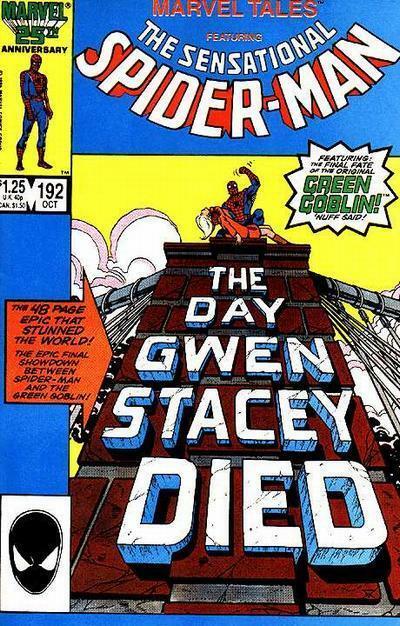 AMAZING SPIDER-MAN #121–122, the Deaths of Gwen Stacy and the Green Goblin. The comic that would be king in the eyes of young Ben. My first exposure to this story was actually from MARVEL TALES#192, a double-feature with both issues in one. 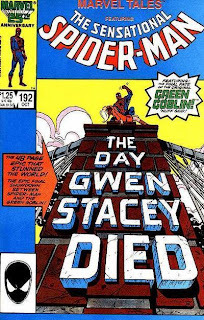 The cover featured Spider-Man holding Gwen on top of the bridge with "The Death of Gwen Stacy" in big bold letters on the bridge. Spoiler alert! Once I found out this was just a reprint of the original comics, it became my goal to track down and purchase those comics. The guys at Campus Comics used to keep the cooler comics on display on the wall behind the cashier counter in the store. 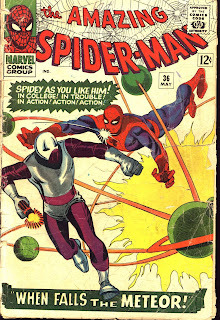 One fateful day, I saw, for the first time, the classic cover to AMAZING SPIDER-MAN #121. Not entirely sure if that was the issue I desired or not yet, I confirmed it, and decided it must be mine. Being a hefty $18, I would need some assistance in acquiring it. Enter my Gramma Smith. Her apartment complex happened to be on my way to the comic book store. I would frequently drop in for the ice cold air conditioning, Cheerios, and extra money for doing chores. She paid me way too much for doing way too little, but she was good in an emergency, an emergency just like this situation. Long story short, I got the issue, and #122 not too long after. 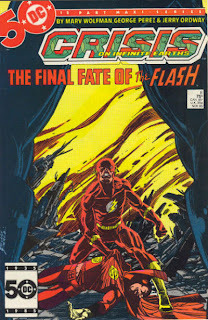 CRISIS ON INFINITE EARTHS #8, the death of the Barry Allen Flash. I’ve told you before and I’ll tell you again, I grew up a Marvel kid. But there was a brief moment, when digging through the quarter boxes, where I grabbed a stack of Flash comics to read. Finding myself enamored with the Flash and his adventures, I was surprised to learn that the one I was reading about, Barry Allen, had died and been replaced by another Flash. I launched myself on another quest to find out where this happened. I figured it would be in the last issue of that original FLASH series, #350, but alas, it was not available. One day, coincidentally enough, I would be flipping through a comic book price guide book, and happened to see the designation of CRISIS ON INFINITE EARTHS #8 as the Death of the Flash! 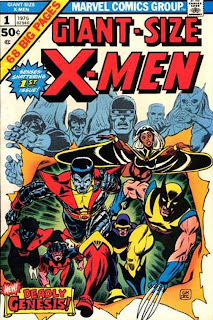 I don’t recall having too much trouble acquiring the actual issue from that point, but I do remember it being the rare comic I would always buy a copy of anytime I found one. And yet, the elusive INCREDIBLE HULK #181 still eluded my grasp.